Official pumpkin spice season might be limited to October, but I’m a big believer in stretching all that spicy goodness out as long as I can. Pumpkin spice flavored goodness may be a limited edition at certain retail outlets, but in my household, any day is a great day for adding pumpkin to the menu. 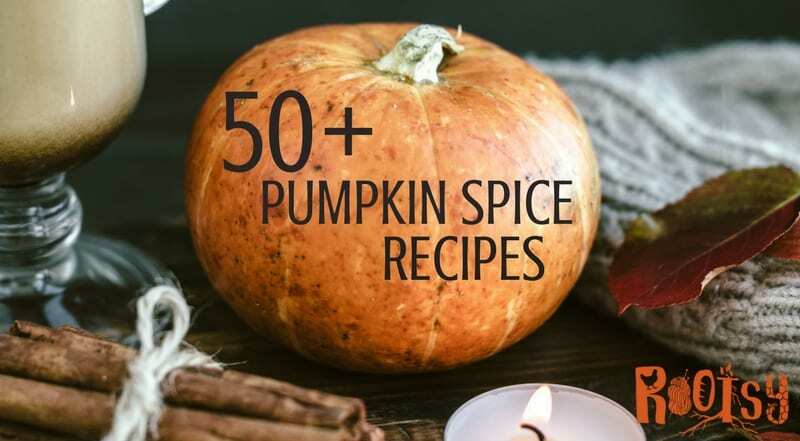 If you’re a fan of pumpkin spice, you’ll enjoy the collection of recipes here — there’s a little something for everyone! You probably have the ingredients for homemade pumpkin spice blend in your spice cabinet right now. All it takes is cinnamon, ginger, nutmeg, cloves, and allspice. Learn how to make your own pumpkin spice in this post. That way you can use the freshest spice as you’re making the wonderful recipes found below. 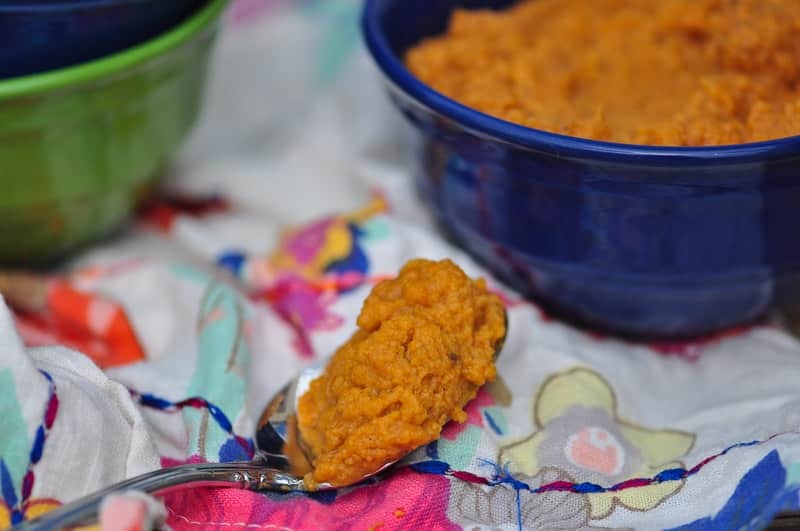 While pumpkin spice doesn’t always include actual pumpkin – don’t forget you can make your own homemade pumpkin puree for a frugal and tasty alternative to the can from the grocery store. These pumpkin nut sourdough muffins are a great start to your day and a great way to use up the excess sourdough starter. Or to entice you into experimenting with sourdough! If you’ve adopted a grain-free lifestyle, rejoice! You can still indulge in the spicy goodness of these grain-free pumpkin muffins. Gone gluten-free? Give these coconut flour pumpkin muffins a try. They’re GAPS/SCD-legal and paleo-friendly, too. This chocolate chip pumpkin banana bread sounds decadent, but it’s actually a pretty healthy sweet treat. How about some whole grain pumpkin chocolate chip muffins? Great to tuck into a lunchbox, for kids and adults! Raw foodies will appreciate this raw pumpkin bread. It’s sweetened with dates! Try these pumpkin spice muffins that are grain-free, gluten-free, dairy-free, refined sugar-free and GAPS friendly. Looking for the perfectly spiced pumpkin bread? Try this one! This easy pumpkin chocolate chip bread recipe will have your family thanking you. These gluten free pumpkin pancakes would be yummy with maple syrup, of course. But you’ll probably want to try the ginger honey butter recipe that’s included, too! Whip up a batch of these quick and healthy pumpkin oat breakfast bars, and you can eat your breakfast on the run. They’re waffles, so breakfast. But these pumpkin eggnog waffles with chocolate chips could just as easily pass as a sweet dessert for a fall evening. I love cardamom. These pumpkin maple muffins come complete with a cardamom oat streusel topping. I’m in! Make a batch of this maple pumpkin granola and enjoy the flavor of pumpkin spice for breakfast all week long. Warm up your morning with this hot and creamy pumpkin flax cereal. And there’s a chocolate flavored option for days when you just need a little chocolate. Need a fast and easy breakfast? Try this spiced pumpkin yogurt parfait to kick off your day. Pumpkin spice scones are surprisingly easy to make. You’ll want to brew some tea to go with these. Ever heard of a squaffle? Me either. But put together pumpkin (or winter squash) and regular ole waffles, and that’s what you get. With pecans, coconut, and oats, these tasty pumpkin treats would be a great surprise to tuck into a lunchbox. This pumpkin spice biscotti is grain free and adds a perfect crunch to tea time. Make soft and delicious pumpkin cookies just like Grandma used too. These pumpkin bars are moist and hold together well, making them a great addition to a potluck table. The question is, what will you drink with these pumpkin spice latte bars with cinnamon coffee icing? Something hot, for sure! 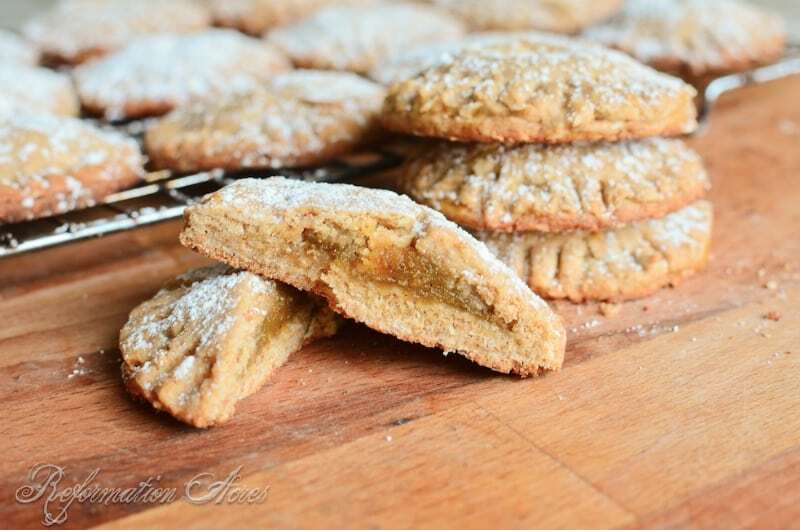 What a treat these whole grain pumpkin filled cookies are! They’d be a unique addition to a cookie exchange. Easy to throw together and quick to bake, these paleo pumpkin blondies are great for dessert in a hurry. These pumpkin pie bars have a slightly nutty, salty-sweet crust with a pumpkin pie filling layer on top. Chocolate chip pumpkin bars. They’re gluten free, easy to make, and a great alternative to a standard chocolate chip cookie. Tuck a few of these pumpkin oatmeal cookies into your kids lunchbox. You’ll get bonus points, trust me. 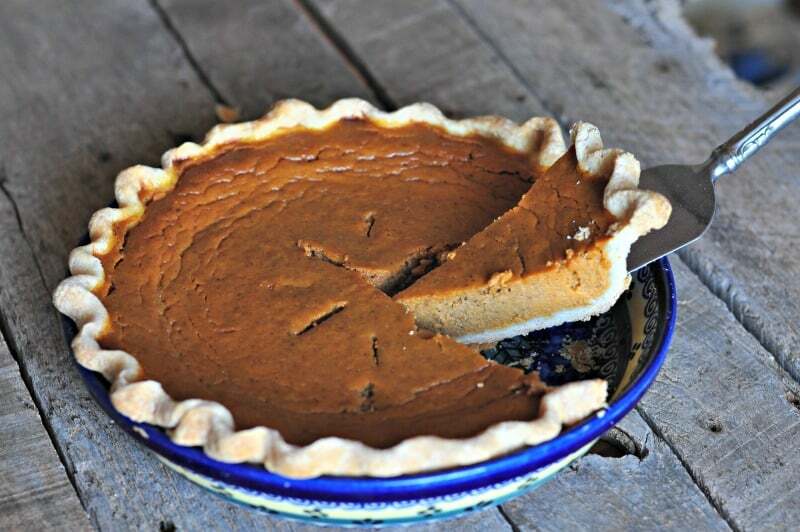 If you’re cutting back on your grains, check out this easy paleo pumpkin pie. It’s dairy-free and crustless. Two of my favorite flavors come together in this pumpkin spiced cheesecake. Sometimes you just need to indulge in something sweet and gooey, right? This gooey pumpkin pudding cake might be just what you’ve been dreaming of. You can call it pumpkin. You can call it winter squash. No matter. But you should definitely try this cheesecake. Sometimes all we need is a little bit of sweet. This 5-minute paleo pumpkin cake in a cup is just the thing. This spicy bundt cake can be made with pumpkin or butternut squash. And it makes a great hostess gift. If you have an egg allergy, you might think you can’t enjoy a slice of pumpkin pie. Not so! Try this no-bake pumpkin pie, created without eggs. How’s this for a flavor combo that might just rock your world? Chocolate pumpkin butter cups! Need a dessert to wow guest that’s easy to make? 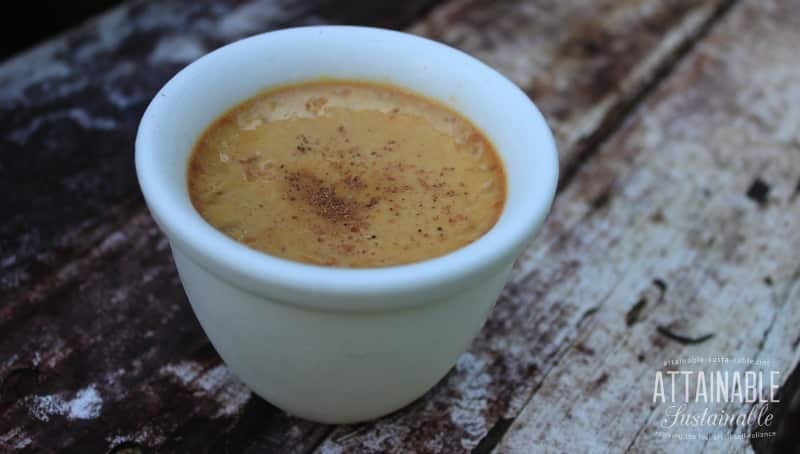 Try these maple pumpkin custards. These pumpkin pie gummies combine that fall flavor you love and the health benefits of gelatin. Pumpkin butter, like any other fruit butter, is lower in sugar than jam and great on toast or pancakes. If you’ve never tried making your own marshmallows, these pumpkin spice gourmet marshmallows might be just the nudge you need. These no-bake pumpkin coconut cups are a treat that you’ll feel good about sharing with your kids. You’ll be ready for dunking when you make up a batch of these mini cinnamon pumpkin doughnuts! This pumpkin leather – similar to a fruit roll-up – tastes like a portable pumpkin pie! The flavor of pumpkin spice and the crunch of popcorn come together in this maple pumpkin spice popcorn. This pumpkin spice dip can be served with fruit (or baked apple fries! ), of course. You could also use it in baked dishes. Say, a pumpkin spice tiramisu? You favorite fall flavors come together in this pumpkin cranberry maple kugel. Try it for breakfast, too. 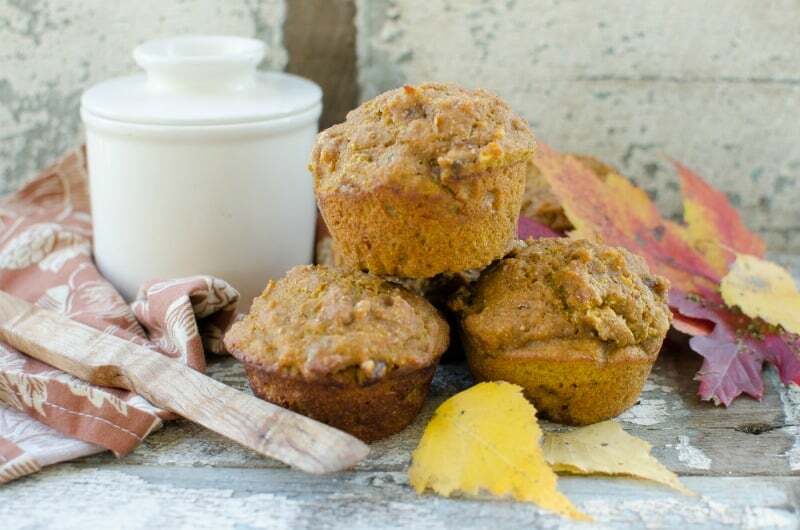 If you’re grain free, try these delicious grain free pumpkin muffins. Spiced pumpkin chai tea sounds perfect for a cool evening by the fire, doesn’t it? There’s a vegan option, too! 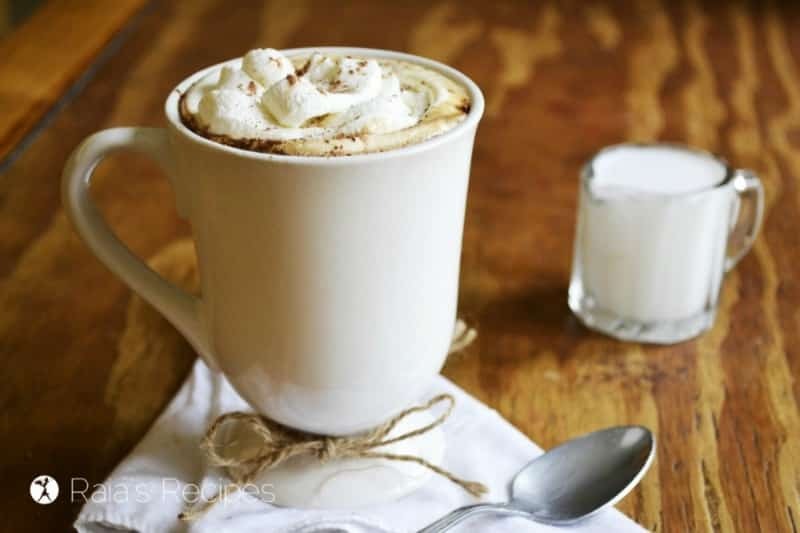 Warm up with an herbal pumpkin mocha. This one is made with an herbal coffee and is dairy free. This pumpkin chai latte will save you a trip to the fancy coffee shop down the street. Kick up your fuzzy-slippered feet and enjoy! Pumpkin spice hot chocolate. Two of your favorite flavors, all together in one warming mug. You’re welcome. Prefer your chai cold? This pumpkin chai smoothie is chock full of healthy ingredients and a perfect way to kick off your day. Made with fresh ginger, cinnamon, and (of course) pumpkin, this spiced pumpkin smoothie tastes like pumpkin pie in a glass. Cutting back on added sugar? This pumpkin spice smoothie is sweetened with bananas. Apples, pumpkin, banana, and yogurt come together in this healthy pumpkin smoothie. Make this pumpkin spice latte vegan or with full on dairy — your choice! Either way, it’s sure to warm you up. Let’s not presume that smoothies and coffee and tea are the only way to drink your pumpkin. How about trying pumpkin wine?? While not necessarily a drink, this pumpkin spice creamer will make many of the things you drink that much better. I hope this gives you some ideas for how to cook with pumpkin. Happy Pumpkin Season! Yes, soap! You can make a wonderful pumpkin spice soap for the fall. 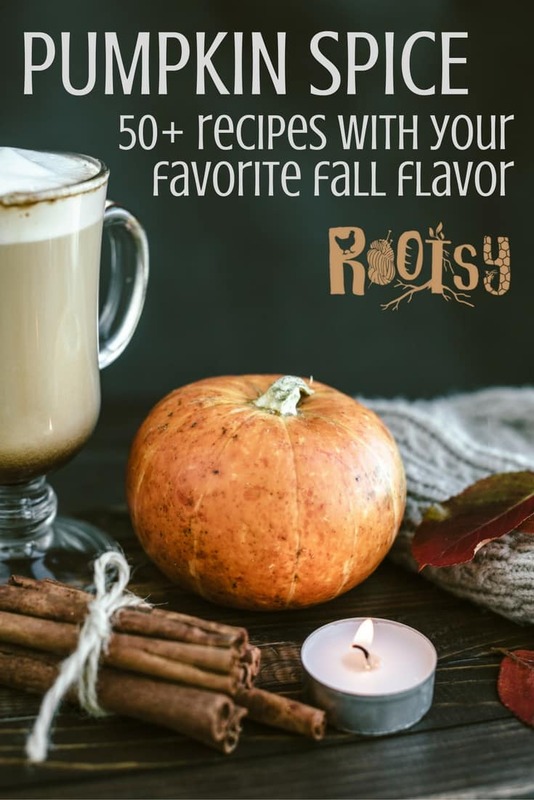 What is your favorite pumpkin spice recipe? Share your thoughts in the comments! It’s May and now all I want is pumpkin! Haha! Thanks for including a few of my recipes in your delicious round-up!